Twelve-year-old Jesus had just been confronted by his mother for going AWOL on the trip home from Jerusalem to Nazareth. While the rest of his family made the post-Passover trip home, Jesus remained behind in the temple to chew the scriptural fat with the theologians. On realizing that Jesus is missing and not just hanging out with the other preteen kids in the caravan, his parents return to Jerusalem for a panicky three-day search. The first red letters in Luke's gospel, that is, the first words that Luke records Jesus speaking are, "Why did you need to search? Didn't you know that I must be about my Father's business?" Luke wasn't there, obviously. This is not an eyewitness account. Someone told Luke this story and, presumably, many others. Was it Mary, Jesus' mother? Did Luke interview her after Jesus' ascension and record this among the events she had "stored in her heart?" Surely there were other stories, other tales of Jesus growing up in his daddy's carpenter's shop. The time when he got a splinter in his hand. Stories of him falling off a scaffold or hitting his thumb with a hammer. 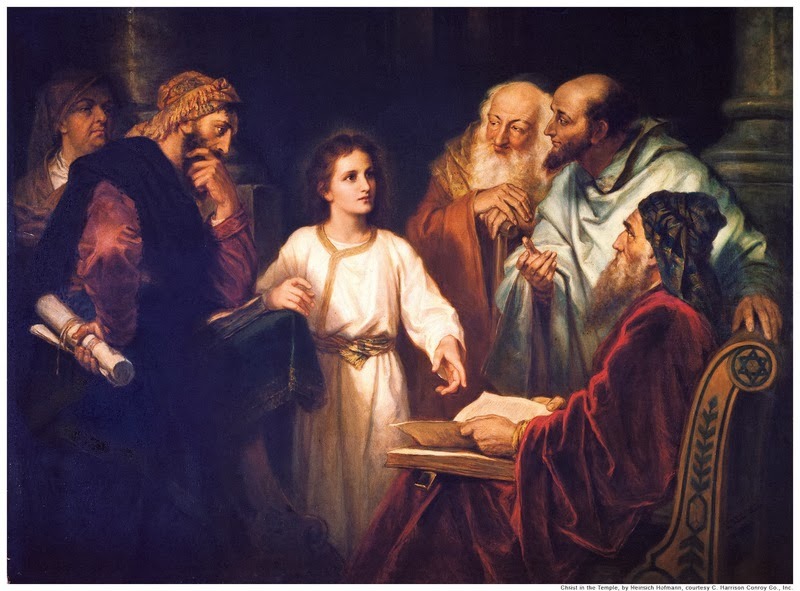 Jesus' back-when-I-was-a-kid tales that took on greater gravity given his father's early death. These prepubescent words plucked from an adolescence that is otherwise ignored in the gospels? Maybe it is because all the red-letter words that follow Luke 2:49 are the fulfillment of twelve-year-old Jesus' declaration that the purpose of his life was to be about his Father's business. Turns out that is the purpose of your life - and mine - too.